Hot off the heels of Knights of Sidonia, I decided to jump into another adaptation from Polygon Pictures: Ajin. Like Knights of Sidonia, Ajin is 100% CG animation, and just like Sidonia, it proves that CG anime can stand alongside its 2D brethren. 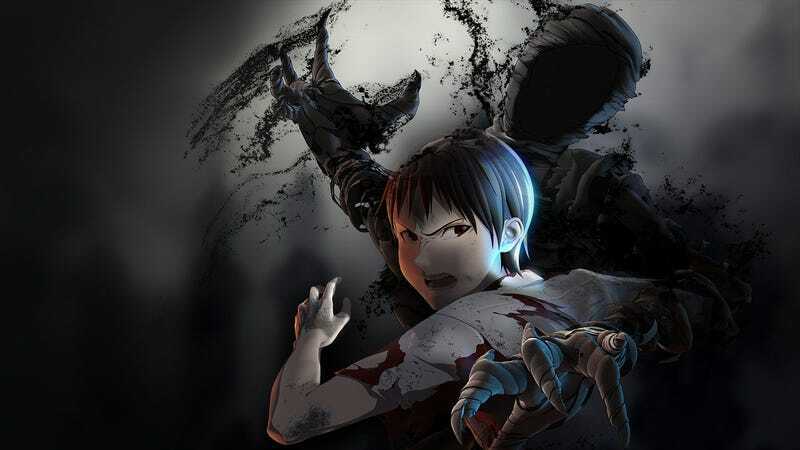 Taking place in the present day, demi-humans known as Ajin have begun to appear. They’re immortal and the only way to identify an Ajin is to watch them die. Hunted relentlessly by the government, their only initial crime... is not being able to die. That’s the short version of the story. Unlike Sidonia which had a massive amount of exposition to understand the story, Ajin is surprisingly simple, but just because it’s simple doesn’t mean it isn’t good. In fact, it’s amazing. Most anime protagonists fall under the goody two-shoes spectrum, but Kei Nagai is far from being a goody two-shoes, or rather, he’s so close to it, that it makes him an anti-hero. Driven by logic, Kei is very cold tolds everybody, including his own family. He wants to be the perfect upstanding human being to such an extent that he almost seems robotic. He’ll be kind to you if you give him a reason to be. But if you aren’t useful to him, you’re better off dead. And that refreshing uniqueness extends to both of the major antagonists of the show. Tosaki, an Ajin Researcher, seems stereotypical at first. Half the stuff he says lends itself to a pretty common backstory for someone hunting something with a personal vendetta. But the truth behind his witch hunt is far more human and makes him at least a little sympathetic. Mr. Sato, the other antagonist, is equally good if not better than Tosaki. I’ll leave him for all of you to figure out because he’s the kind of character that can’t easily be explained. You have to watch what he does and listen to what he says to understand how great he is. The end of the first season is a bit of a cliffhanger, but season two is already out there to view if you wish to continue the story. If you’re like me though, you’ll be waiting for December 27th when Netflix releases the second season on their streaming service. The art design for Ajin is pretty similar to Sidonia with the the only real difference being that they seem to have refined their cel-shading and modeling. Everything is very sharp and you’ll mistake it for a 2D anime from time to time. It’s a truly a sight to see and while I don’t expect it to replace 2D anime(And I hope it doesn’t because 2D IMO is still better in most regards. ), I do expect it to become far more commonplace in the coming years. Animation-wise, my previous gripe regarding the character animations in Sidonia is almost resolved. For the most part, characters are animated better in Ajin than they were in Sidonia, they’re somewhat more believable and there were no noticeable moments where the animation seemed off(save for some rare moments where the English audio didn’t match the lip flaps.). Fight scenes are particularly well animated which helps because there are quite a few. The soundtrack for Ajin is pretty good overall. There wasn’t a single track that felt out of place when used and some easily made the tension even more palpable. And I could listen to the opening and closing themes all day because they are some of the best I’ve heard in a while. The sound effects are also very on point. From the sound a cigarette makes when someone is smoking, to the sound of rain on concrete, feet on dirt, and the sound an Ajin makes when its reviving(Sounds like a cigarette for some reason. ), it’s all good and I have no complaints here. The English dub was also well cast, though I think I heard the same voice actor play multiple background characters. Not that that’s unusual, it’s just a bit jarring when you actually notice it. The only character whose voice seemed out of place was Mr. Sato. It was raspy, like someone with a high pitched voice was trying to make it sound deeper. However, my concerns ended up washing away as the show went on because that somewhat odd voice ended up making Sato come off even more maniacal, so he’s cool. I’ll let it slide. The first season of Ajin is impressive and kept me on the edge of my seat from start to finish. At 13 episodes I finished it a lot quicker than Knights of Sidonia, and while I could go out and watch the second season now(I really want to. ), I’ve decided to wait for Netflix’s release on the 27th of this month. Will it be a painful wait? Of course, but I’ll stick with it if only because I have other anime to watch and games to play to keep me preoccupied. I highly recommend starting this show now so you’re ready for when season two drops.